It seems one of the most difficult issues women face in today's economy is coping with the pressures of life when their husband suddenly finds himself unemployed. 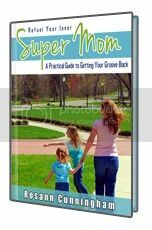 As the Founder and Author of ChristianSuperMom.com, I have been shocked to discover just how many women are searching for advice, encouragement, prayer, friendship, support, and answers of any kind that will give them hope. The real unemployment rate, when you factor in people who are either underemployed or who have given up is nearly 20%. Unemployment among men is higher in this recession than in previous ones. Middle-aged men are having particular difficulty getting rehired. African-Americans and Hispanics are two of the hardest hit groups. Hiring managers are holding out for the perfect match, setting criteria that's virtually impossible for even the most educated and experienced individuals to meet. When you look at how devastating this downturn has been, it starts to makes sense. No wonder so many women are looking for ways to cope during the uncertainty of a very dark recession. Stay-at-home moms aren't the only women facing the stress of an unemployed husband either. This crisis is affecting working women too. Maybe you discovered this book because you've been searching Google or Amazon for something that will help you feel better about your husband's unemployment situation. You're desperate for answers…a solution. Oh how I wish I had the answers to your particular situation. Since I don't, it's my prayer that the words in this book will encourage you and help redirect your focus to the big picture - God's ultimate plan in all of this, rather than just being consumed by the day to day stress and resentment in this unemployment crisis. Dear friend, please know you aren't alone. Believe me. I've experienced much of what you're feeling. And so many others have as well. Your husband was laid off or has otherwise found himself out of work. He didn't realize finding another job would be this difficult, especially since he's got so much experience and education on his resume. As he becomes more and more discouraged, depression is starting to creep in. He's applying for what few jobs are available, but the phone just isn't ringing with interview opportunities. When he does interview, the prospective employer determines that he's over qualified or is perhaps lacking in one trainable skill they aren't willing to budge on. Your husband isn't fully sure what "Plan B" is and he's not talking too much about anything. The silence is maddening. Even worse, most days it seems like he's just sitting around doing nothing. You can't help but wonder in anger if he's even trying to find a job. Your patience is always on edge, making you feel like a ticking bomb just waiting to explode. Both of you feel like your dreams have been crushed. This is by far, the worst financial disaster of your life. You're about to or have already lost your home, your credit, and your nest egg. There doesn't seem to be any hope. When you talk to family or friends about your situation everyone seems to have an answer, except their answer isn't one that works for your circumstances. They just don't understand. Then the "what-if's" start to rush through your mind. What if they feel sorry for us? What if they think my husband is lazy? What if they think we're losers trying to work the system? What if they're judging me for being a stay-at-home mom instead of getting a job? What if we end up homeless? What if he never finds another job? What if a major health issue surfaces while we're without medical insurance? What if our family falls apart over this? What if he secretly turns to drug or alcohol abuse to deal with the stress? What if our marriage doesn't survive this storm? …and that's only a small taste of the what-ifs many women are battling. Worse, nobody really knows how you are feeling being the wife of the man who is going through the most difficult time of his life. Instead, human nature is for those who care about you and your family to ask how your husband is doing or how the job search is going. Nobody understands how draining it is for you to be the constant cheerleader, to put a smile on your face, to ignore the building resentment, to swallow back the tears, to be intimate with your man when all the added stress has zapped your desire, and to keep a calm and patient demeanor with your children who are likely acting out, because perhaps they feel the tension within the home. Nobody knows how lonely life can be for the woman who loves and supports her husband, but chooses not to talk to him about all of her feelings, her fears, or her concerns because it might send him spiraling into an even darker depression. And it's equally difficult to open up to friends about what you're feeling. Nobody knows the river of tears you've cried over this situation. Perhaps your story is slightly different, but for many of us this is an uncomfortably familiar reality. Let's face it. It's hard to cope when you're the wife of a man going through a season of unemployment. I understand, because I've been there. In some ways, I'm still there. My story is sprinkled in bits and pieces all throughout this book and in my blog. Please understand, this book is not a step by step guide to get your man a job, nor is it written about how to live more frugal during unemployment. There are plenty of resources out there for those topics. What you don't see very often are books on how to cope with the emotional impact of unemployment in your home. That's what you'll get with this book. It was written with your heart in mind. I really wanted to share with you some encouraging and hopefully inspiring ways to cope and love on yourself, particularly when you're feeling all alone in this awful storm. With that in mind, everyone believes differently and I obviously don't know what your religious beliefs are. My faith in God has been a huge factor in my ability to cope through this season of unemployment, so most of what I share here is based on Christian faith. If you haven't already accepted Jesus Christ as your Lord and Savior, I pray that the words of this book will inspire you to seek that glorious moment of reaching out to God, believing, and receiving eternal life. I promise you'll find that accepting Jesus Christ into your life will bring a certain joy to your soul you never knew was possible. If you are already a believer this probably won't be new information for you. I encourage you to continue reading though, as it may renew your passion for God, deepen your faith in Him, and help bring a fresh perspective to mind while you are facing the challenges of a life with unemployment. As you read this book, I pray you'll recognize one very important truth. God does know what you're going through. He knows your heart, your concerns, and your fears. He knows what you're capable of enduring and He knows exactly how your circumstances will work out. Trust Him. He has a greater purpose and plan in all of this. In each chapter I'll be sharing with you the ways I've coped during my husband's lengthy season of unemployment. You may find some methods to be more helpful than others. And that's okay. I simply challenge you to try out each coping tip for yourself. You can't control whether or not your husband gets a job offer, but you can control what actions you take to deal with your situation in a healthy and fruitful way. Just a quick disclaimer here - please note I'm not a professional counselor or a doctor, nor am I qualified to give financial advice. Take these Coping Tips for what they are - actual methods that have worked for me. Most importantly, use common sense and discover what works best in your particular circumstances.